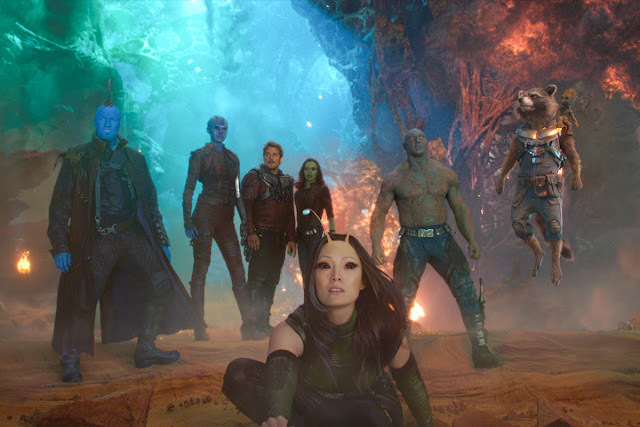 When a poor decision by Rocket (Bradley Cooper) finds them on the run from The Sovereign fleet, The Guardians Of The Galaxy gang, Gamora (Zoe Saldana), Peter Quill (Chris Pratt), Drax (Dave Bautista) and Baby Groot (Vin Diesel) receive help from Ego (Kurt Russell) - a living planet claiming to be Peter’s long-lost father. When the original Guardians of the Galaxy was released in 2014, it was arguably Marvel Studio's riskiest venture to date. The Guardians of the Galaxy were completely unknown to the mainstream - but also nothing like the original 1969 Guardians seen in the comic books. However, it paid off ten-fold when it received critical acclaim and won the hearts of film fans everywhere. Featuring a sarky talking raccoon-hybrid, a vocabulary-challenged tree, an ex-WWE wrestler, a green female warrior, a refined Andy Dwyer from Parks And Recreation and paired with one of the catchiest soundtracks in movie history, it somehow came together and it works. Cut forward three years and James Gunn and the original cast returns with Vol.2 - set three months following the events of the original. Having saved the galaxy in their first adventure, the team is now struggling to keep the family together and is presented with a new challenge when the mystery of Peter Quill's true parentage is revealed to be Ego (Russell) - an immortal celestial being and living planet in human form. Torn between his desire to finally know his biological father and live out his days in his kingdom, and the feeling that he must stay with his friends - Peter is presented with a difficult position. There is no denying that Guardians of the Galaxy Vol.2 is hilarious from start to finish. 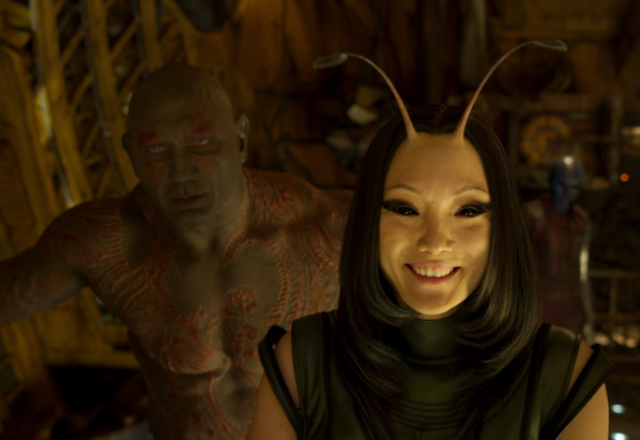 Where Drax (Bautista) could once be considered a more serious character, he is now the main source of hilarity throughout. 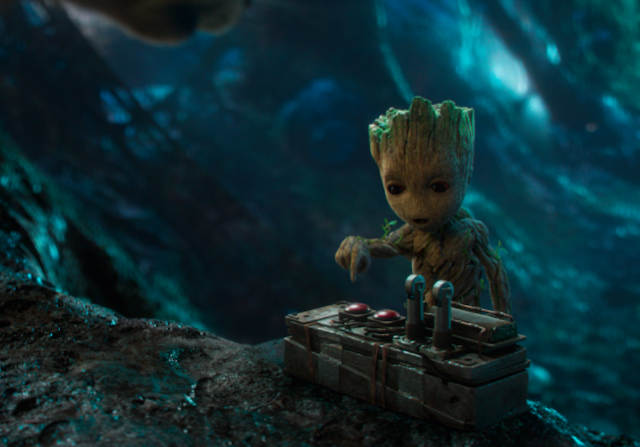 Combined with the perfectly executed moments of Baby Groot which are beyond adorable and it's usual charm, it makes for an incredibly entertaining film. However, this is not to say that the film is perfect by comparison to it's prequel. There are jokes from the very get go which will cause you to laugh out loud but there are a few which don't fully land on their feet. That said, there is something for everyone to enjoy. 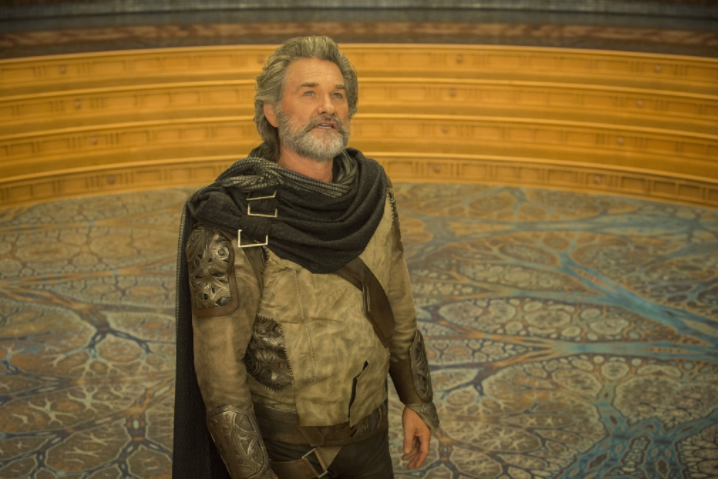 Whether it’s the dazzling visuals which are truly remarkable, the dry whit which runs seamlessly through the narrative or the unique weirdness which sets Guardians apart from other MCU and general blockbusters alike. Unlike the previous film which had a relatively basic (but effective) structure, there are many crossover plot lines throughout Vol.2; which at times can seem like a lot to take in and add to the running time. It does at times feel as though Gunn has attempted to cram in a lot which is perhaps one of it's only real flaws. However, it does feature a great deal of heart. Whilst Peter's newfound relationship with his father is ultimately the focal point, as a whole the film is very much about exploring other relationships and backstories which further build character development; Gamora and her sister, Nebula (Karen Gillan) or Drax and Mantis (Pom Klementieff). 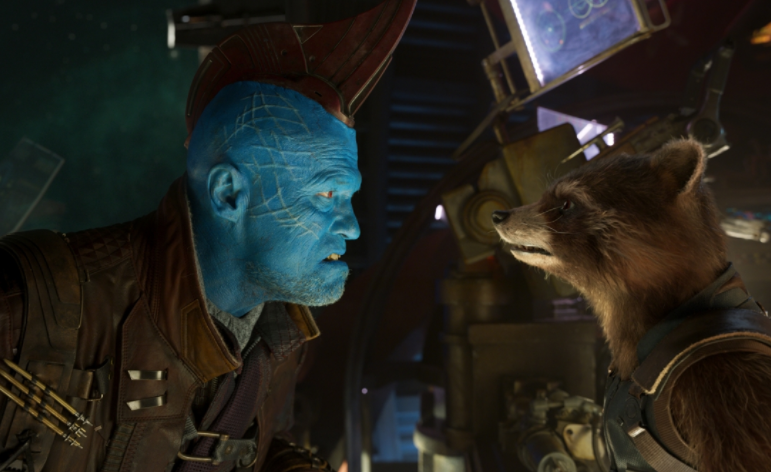 In particular though, Vol.2 shines a more heartfelt light on Rocket (Cooper) and Yondu (Michael Rooker)- two characters which are often perceived to be fenced off and have negative character traits. Whilst there is, of course, a great amount of humour throughout the film, the sentimental plot points really tie the entire narrative together. There are scenes which are truly saddening thus displaying that Gunn not only knows how to direct a comedy, but he also knows how to handle a good tragedy. From a cinematography stand point, the cosmic setting is the ultimate visual playground. With the introduction of new characters comes new eye-popping colours, set-pieces and beautifully envisioned landscapes which are truly stunning and worthy of seeing on the Big Screen. Naturally, this does mean that CGI is used heavily throughout and arguably there are the scenes where the action and explosions seems excessive. Thankfully, this does not take anything away from the narrative. Unlike some recent flicks by where the CGI distracts, Vol.2 finds a way to use it to it's advantage - showcased in 8k. Ultimately, Guardians of the Galaxy Vol. 2 is bursting with life. From start to finish it is energetic with humour and sadness in equal measure. 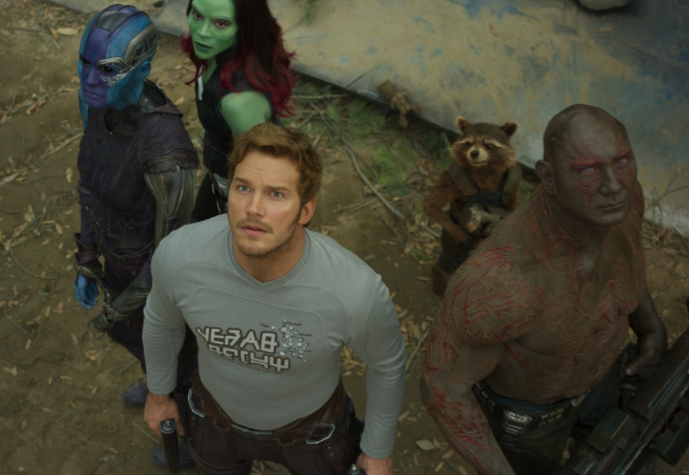 Despite the narrative not being as strong as the original movie and some slight access action, for the most part - the colour and silliness is infectious and, in true Marvel style, there are plenty of easter eggs in there. The Guardians of the Galaxy Vol.2 gets a Sophie star rating of 4 out of 5 stars - truly one of the best films you'll see all year. Now go see it. Well, that's it for another film review. 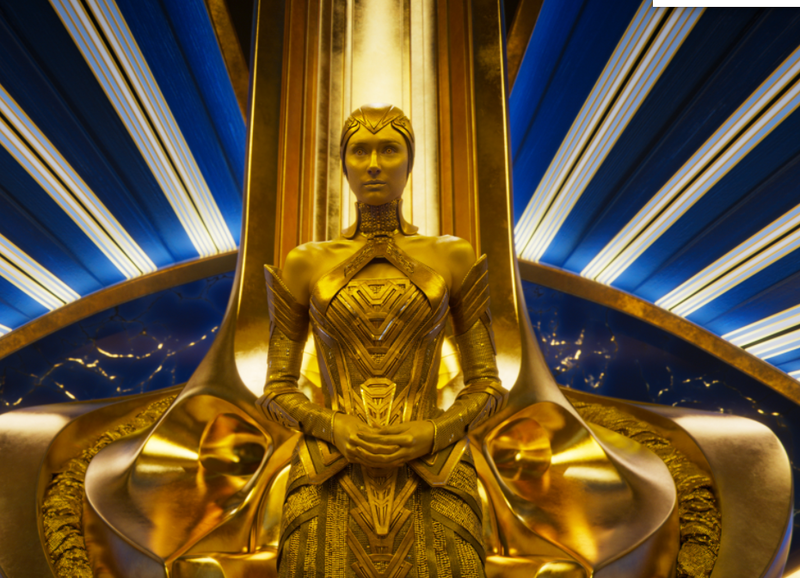 Have you seen Guardians of the Galaxy Vol.2 yet? What did you think of it? As always I love reading your comments so please do leave me lots of lovely ones down below. Huge thanks also goes to Disney for allowing us to see this ahead of release. What a wonderful, well explained review. I can't wait to see this film, people have been telling me about the soundtrack and I'm so excited! I am yet to see the film and love that there are no spoilers in your post. It's great that this film tends to explore different sides to its main characters as often with sequels they'll throw a ton of new characters in the mix, which makes it difficult for viewers to understand and relate to the characters. It looks like it doesn't disappoint on visual effects either, hope it has a great soundtrack like the first movie as I loved the nostalgia vibe at the start. 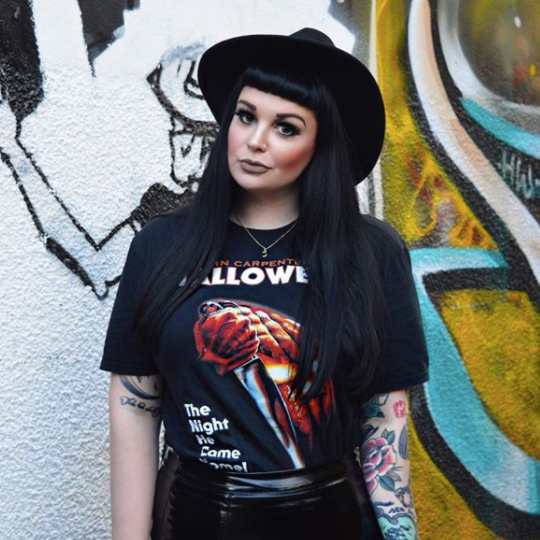 Thanks for sharing this fantastic review, Sophie. It took me a while to see it but I really enjoyed it! I especially liked Michael Rooker's performance :) I'll probably watch it again sometime soon. Great review, Sophie!